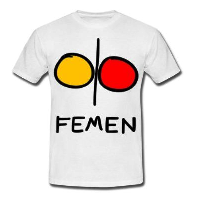 This entry was posted in FR and tagged nouvelles on January 31, 2014 by FEMEN. Cười vui với những chuyện hài hước nhất năm! This entry was posted in VN and tagged tin tức on January 31, 2014 by FEMEN. This entry was posted in FR and tagged nouvelles on January 30, 2014 by FEMEN.